Rob Zitz joined Leidos in August 2011 — when it was known as Science Applications International Corp. — as senior vice president and chief ISR systems architect after a three-decade government career that culminated in a deputy director role at the National Reconnaissance Office. The Wash100 inductee and former senior Secret Service deputy associate director leads Leidos’ work to help intelligence and homeland security agencies adopt security tools for areas such as big data, mobile devices and activity-based intelligence. 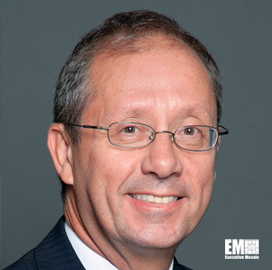 In this conversation with ExecutiveBiz, Zitz overviews Leidos’ transformation from SAIC to a new standalone enterprise, the company’s work in the cyber arena and trends he has seen during his government and private sector career. ExecutiveBiz: What are some of the key changes that have defined Leidos’ recent transformation into a standalone organization? Rob Zitz: I like to say that legacy company SAIC was like a thousand flowers blooming. We had a lot of internal competition and because of our pursue-all-opportunities culture, we limited our growth due to organizational conflict of interests in contract bids. Legacy SAIC had a highly diffused structure leading to a higher cost structure, and had a mergers and acquisitions focus to its capital deployment strategy that left cash on the balance sheet. In contrast, Leidos has optimized portfolios and shared resources, unleashing the potential to use established skills in new technology areas to deliver solutions to new and existing customers. We’re free to pursue more business now without enormous OCI concerns. We’ve returned our focus to capital deployment with a business model to return cash to our shareholders. ExecutiveBiz: What do you see as differentiators for Leidos from the competition? Rob Zitz: Leidos has three competitive levers. First, we have deep customer domain knowledge. Second, we have extraordinary people, processes and tools. Third, we have scalable capabilities. We have practical, operational insight that can only come from being embedded with our customer community that we’ve gained through decades of direct customer support. Our highly educated workforce has deep science and technology credentials and we use highly successful, repeatable, and agile processes. Leidos is a unique kind of company. We have 22,000 people with science and technology backgrounds working missions that are critical challenges for United States national security and in commercial sectors like health, energy and infrastructure. We are defined by core competencies in cybersecurity, big data analytics and engineering solutions, and we are well‑positioned to address new market needs and protect our citizens from future threats. ExecutiveBiz: As someone who had a long career in government in the IC and DHS and now is in industry, what do you see as some coming trends in the intelligence and cyber areas? Rob Zitz: I see the driving forces for the foreseeable future as: the constrained budget environment; information security concerns; and persistent threats. The trends are toward reduced costs; agile development instead of waterfall development; the need for real‑time solutions that are developed and delivered on demand; multi-intelligence (multi-INT) instead of stovepipe single intelligence discipline solutions; advanced filtering and processing to reduce the workload on the analyst and the operator; and the ability to deliver solutions to highly‑mobile users into their hands on the go. Trends for the cybersecurity arena include being able to transition from reacting to an attack to a much more proactive state that gives those protecting the network more warning time and may prevent an attack from happening in the first place. Leidos is already delivering many cutting‑edge solutions against all of these intelligence and cybersecurity trends right now. ExecutiveBiz: What do you view as key Leidos’ success in the cybersecurity arena? Rob Zitz: Leidos brings new perspectives to the cybersecurity market that not only transforms the world today, but changes the world tomorrow. We see cybersecurity challenges as an opportunity to help protect our way of life and secure the future. Leidos is a new science and technology company with a solid 44-year heritage of solving the most challenging and critical problems for the most sensitive government agencies. Our integration expertise and innovations enable both government and commercial sectors to defend against “new world” threats and protect critical infrastructures. We help serve humanity and secure our way of life in ways no one else can. We have the largest cyber forensics capability in the intelligence community. We have years of experience in computer defense, computer exploitation and operations, and we do first in class predictive analytics. Leidos has great depth in cryptographic algorithms, in team management, and in cyber software development. We’re also known for large‑scale systems design and integration as well as real‑time handling of big data. ExecutiveBiz: How is Leidos supporting DHS and other government efforts to protect critical national infrastructure? Rob Zitz: Leidos has proven affordable and flexible solutions for DHS’ top cyber challenges, including protecting not only the dot‑gov domain, but extending those protections into the critical infrastructure sectors of the private sector that DHS supports. DHS can rely on our vast experience in systems engineering and integration, our use of agile processes, our abilities with intrusion detection, analysis of suspected malicious traffic, intrusion prevention, highly‑automated information sharing, and continual improvement of DHS’ core infrastructure. We understand the complexity involved in commercial off-the-shelf integration with custom application developments and with managed security services. Leidos is a leader in continuous diagnostics and mitigation solutions, which DHS is implementing across much of the U.S. government. We’re also thought leaders in moving cyber situational awareness beyond the network perimeter.